Would you like to rid your life of Clutter and distractions and start to focus on more happiness and success? Do you find that you never have enough time to do what you need to do? Would you like to know how to fit in all the things you dream of doing? This book will show you how you can create the space you need to achieve your goals and get your work done. Would you like to feel organized and in control of your life? Does simplifying your life sound attractive to you? Would you like to know where everything is in your home, your office or on your computer? 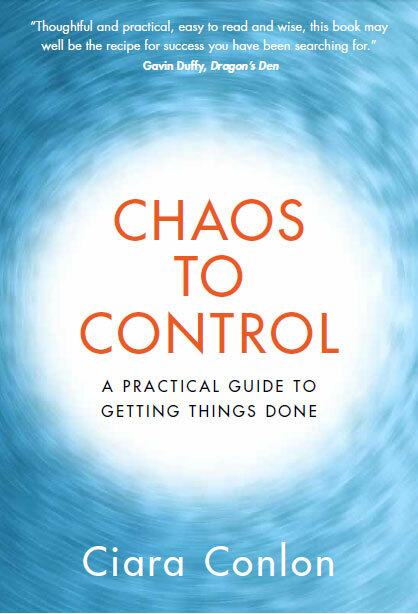 Chaos to Control can be used as a blueprint to assist you in realizing all of your goals and dreams. We don’t want to simply get more done, we want to eliminate the time wasting activities and identify the things that matter, the things that will get you closer to realizing these goals. No matter how disorganized or organized you currently are, in this book you will find a road map to move you towards a better more organized life. Everyone has scope for improvement. Clear the clutter, simplify your life and find a way to get your work done with less stress and more success. Learn tips and tricks on how to stay focused to get things done. Implement positive and productive habits which will allow you to accomplish what needs to get done and free up mental space for creative or strategic thinking. Become relaxed, in control, and stress-free by following this holistic approach to productivity, enabling you to master the art of organization.